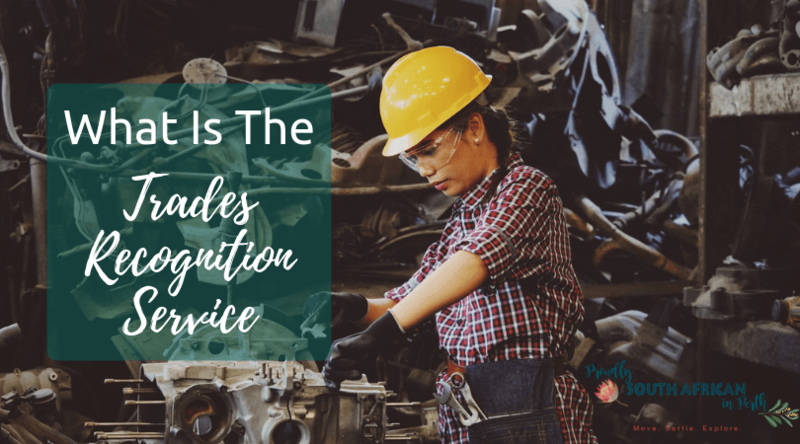 What Is The Trades Recognition Service? The Trades Recognition Service (TRS) is a domestic skills assessment service offered by Trades Recognition Australia (TRA) for tradesmen actively engaged in various engineering trades. For many years prior to October 2013 thousands of tradesmen migrated to Australia and underwent a skills assessment provided by Trades Recognition Australia (TRA) and attained a trade qualification known as the Australian Recognised Trade Certificate or ARTC. At the time the ARTC was widely accepted by Australian employers and Industry Groups as an accepted benchmark that the tradesman had been assessed to industry standards. However, the ARTC was never the equivalent of the nationally-recognised AQF Certificate III or IV trade qualification. Subsequently, as Workplace Health & Safety (WHS) and insurance liability became increasingly stringent for employers, particularly large national employers, many migrants found to their surprise and frustration that they required re-assessment to achieve the AQF national standard. Who Should Use The Trades Recognition Service (TRS)? The TRS program is designed for anyone resident in Australia who doesn’t hold an AQF qualification relevant to their trade. It provides an Australian Government endorsed qualification recognising that your skills obtained overseas have been assessed and found equivalent to a recognised Australian national standard. Not only does this scheme help new migrants who have made the move to Australia, but it can also help migrants who have lived here for years, as well as Australians, who are moving between similar industries, to recognise their prior learning and skills and have that count towards their new Australian qualification. Why Should I Use The Trades Recognition Service? Using the TRS, you will get an industry endorsed qualification. This recognises your skills and trade experience and allows you to be recognised as the equivalent of an Australian trained tradesperson. When job hunting, having an Australian qualification can sometimes make all the difference between getting the job and being unsuccessful. TRS assessments are delivered by high-quality TRA-approved Registered Training Organisations (RTOs). They will assess you on your overseas qualifications, skills, and experience via documentary evidence, technical interviews and practical demonstrations. You are evaluated against the Australian VET qualification training package for your trade. One of the leading RTOs conducting TRS assessments is Australian Construction Training Services (ACTS). Who Can Apply For A Skills Assessment? Must be able to provide documentary evidence of identity, nationality and employment referees. How Do I Apply For A Skills Assessment From Australian Construction Training Services? Firstly you need to determine your eligibility prior to sending your application form and supporting documents. A TRS skills assessment is suitable if you do not already hold an Australian qualification and can demonstrate at least four (4) years full-time experience (or part-time equivalent) including current employment in the chosen trade for twelve (12) out of the last thirty-six (36) months. If you do not hold an equivalent overseas qualification then at least five (5) years full-time experience or part-time equivalent and current employment in the trade area for twelve (12) of the last thirty-six (36) months is required. The ACTS application form and further information on exactly what is required can be found on their website here. Your application and documentary evidence is then reviewed and the documentary assessment is commenced. Once the documentary assessment is successfully completed, you’ll then move onto a technical interview with a trade assessor, and if needed, a practical skills demonstration. After the process is complete, you’ll get a decision on the outcome of your assessment. If successful, you’ll be issued with an AQF Certificate III in your chosen trade that is nationally accredited throughout Australia. Hopefully, you now know a bit more about the Trades Recognition Service (TRS) and how attaining your qualification will help you find that all-important job after you arrive in Australia. Over the last few years, Australian Construction Training Services has been able to assist many South Africans to attain the trade qualification to allow them to move seamlessly to alternative employers. If you want to find out more about the process, head to their website here. Still planning your move to Australia? Make sure you check out my Start Here page and my list of migration resources to help you on your journey.